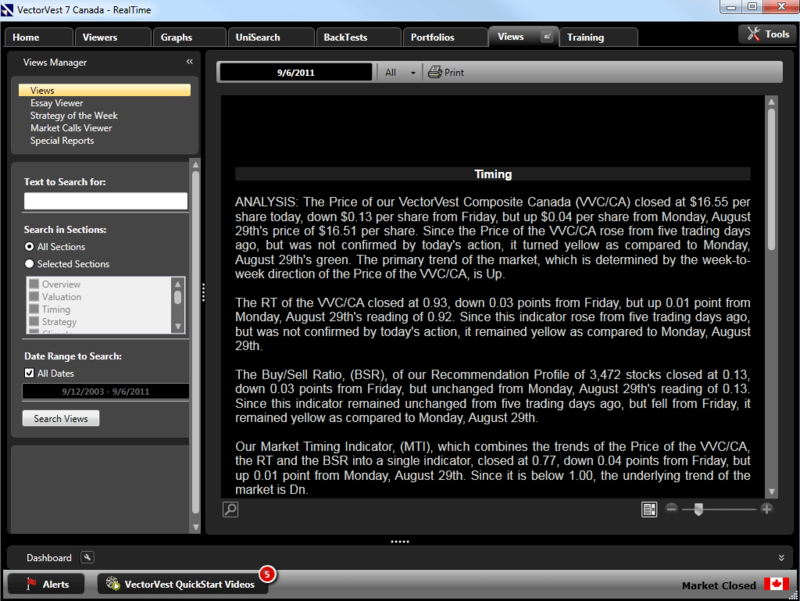 VectorVest 7 Canada comes in three formats, End of Day, IntraDay and RealTime. VectorVest 7 Canada analyzes, sorts, ranks and graphs over 3,400 stocks using 41 parameters. 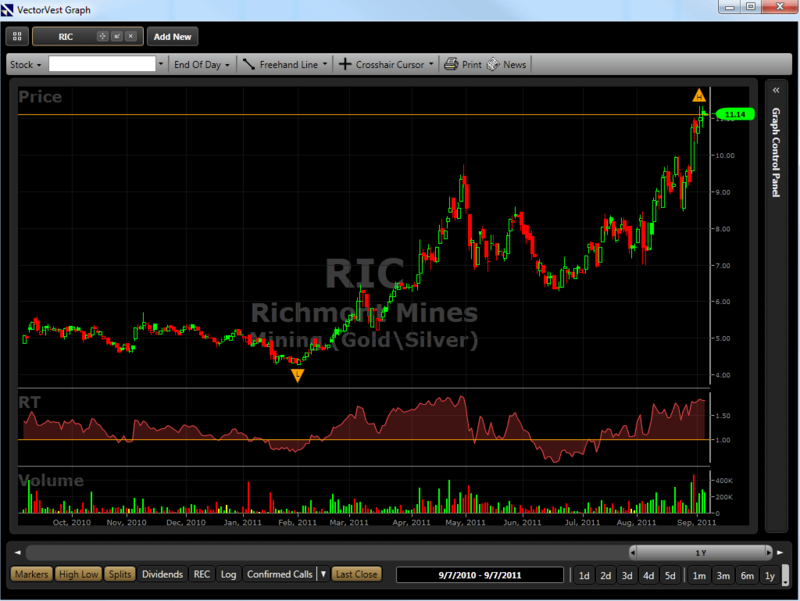 It provides Buy, Sell and Hold recommendations on every stock, every day. Most importantly it gives you market timing updates for precise trading entry and exit points. The VectorVest 7 Canada Homepage keeps you up-to-date on rapidly changing market conditions and how they are impacting your stocks. 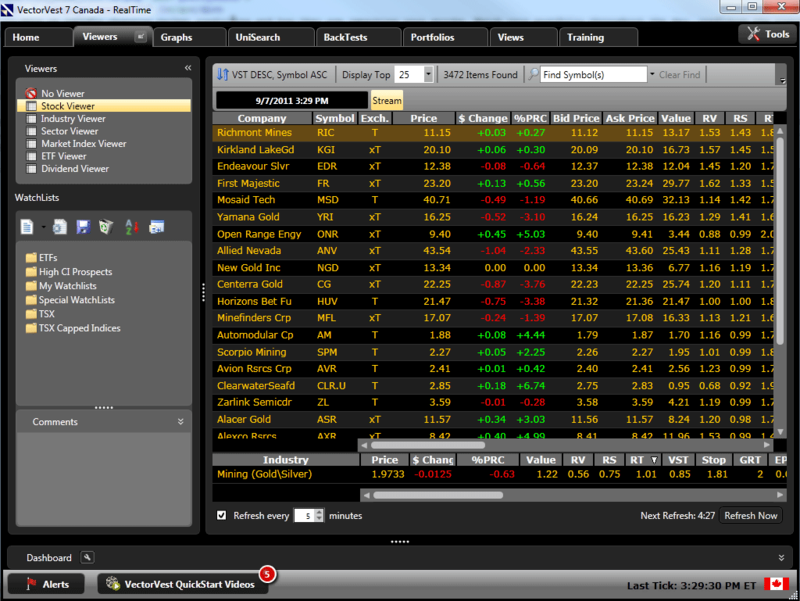 Watch your portfolio, configure the timing tools, stocks, portfolios, charts and news you need where you need it. 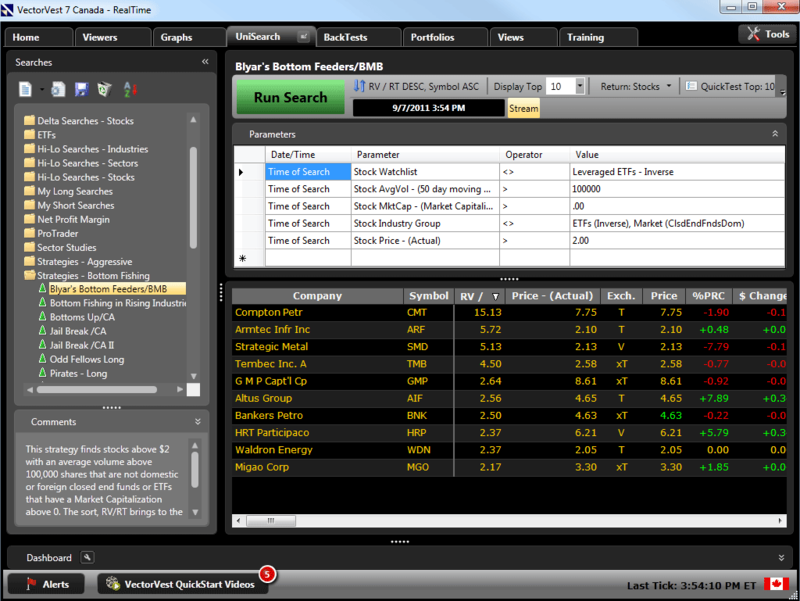 Detach it and move it to another monitor while you research a new stock pick or check the news on a position. The VectorVest Viewers provide an analysis and ranking of over 3,400 Stocks, 127 Industry Groups and 40 Business Sectors. With a few clicks of your mouse, you can analyze, sort and rank stocks, industry groups, and business sectors on Value, Safety and Timing and many other critical parameters. VectorVest 7 Canada provides powerful graphing features in a convenient, easy-to-use format. Graphs can be accessed from any section of the program and a convenient interface provides instant time frame selection. Add standard or custom fields with a mouse click. The VectorVest Views is a daily newsletter designed to keep you abreast of the market. Here VectorVest provides a commentary on the market, identifies the market’s direction and describes what you should be doing to take best advantage of the market condition. Included is over 8 years of historical documentation of VectorVest’s market guidance.